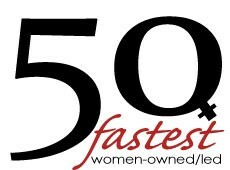 The search is on for the 50 Fastest Women-Owned/Led Companies. Apply now to be recognized as one of the “50 Fastest” by the Women Presidents’ Organization (WPO), a non-profit membership organization for women presidents, CEOs, and managing directors of privately-held multimillion dollar companies. This year marks the 12th anniversary of the annual ranking, which recognizes the vital role that women-owned and led companies have in boosting the economy and enhancing overall job growth. Applicants are not required to be WPO members. When: Applications are due by March 1, 2019. Posted on February 7, 2019 by WBENC and filed under Opportunities Open Doors.